If year 2017 was about a dramatic increase in the number of subscribers in the OTT space, 2018 will definitely be remembered for the robust growth in content production. Global streaming service Netflix has reportedly dedicated close to Rs 600 crore per year for original content in India. Similarly, Amazon committed a bulk figure of Rs 2,230 crore for original Indian content in 2017, expected to be allocated over the course of two-three years. 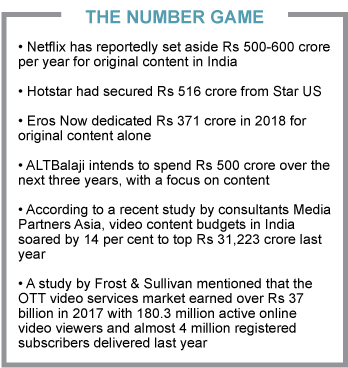 Coming to the local platforms, Balaji Telefilms’ ALTBalaji intends to invest up to Rs 500 crore over the next three years, majority of which will be dedicated to strengthening its content offerings. 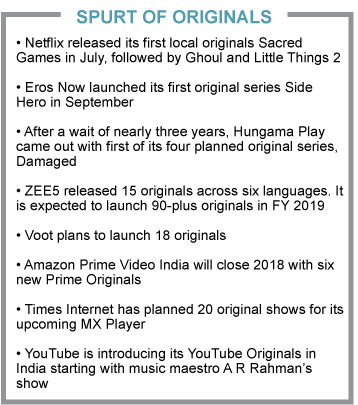 Also, ZEE5, launched early this year, has so far released 15 originals across six languages. Punit Goenka, MD & CEO of ZEEL, in a recent interview said that “a lion’s share” of their investments for the next two-three years will be in the digital space. The increase in the investment has resulted in a significant increase in the scale and quality of content production. Now almost all players, from the global giants to local players, are working on long-form content. According to Shergill, the tremendous growth of OTT platforms has been driven by their unique position to offer personalised entertainment to the consumer at their convenience. Zulfiqar Khan, Managing Director, Hooq, too agrees that year 2018 should be known as the inflection point for content. He believes that the real content play started playing up post mid-2018 and now there’s no stopping back. “If we have to categorise it year-wise, 2017 was the inflection point for infrastructure, with Jio making internet available and accessible to all. Year 2018 should be known as the inflection point for content. There’s no stopping back,” says Khan. Beginning last month, Hooq, with the tagline ‘Home for Hollywood,’ is offering big-ticket American shows such as The Big Bang Theory, Arrow, SWAT, The Oath, Flash on the same day as their overseas release. This lapping up of content is bringing in subscription and advertising revenue, says Uday Sodhi, EVP and Head – Digital Business, Sony Pictures Networks India (SPN). “It’s true for most of us (OTT players). We are seeing a significant movement in consumption--in terms of time spent, overall quality of content and the number of users coming to our app. As a result, there is also a significant transaction on the subscription side. Advertising has seen a strong growth. For instance, FIFA World Cup had 36 sponsors. Therefore, we will continue to ramp up our investment on content," Sodhi added. 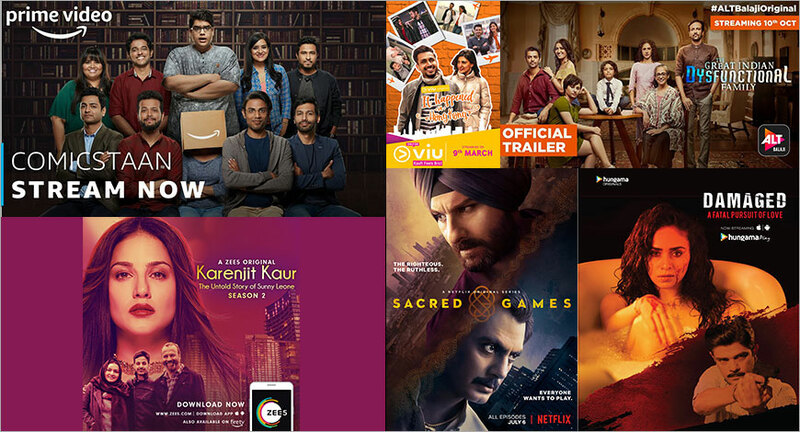 The year, meanwhile, also saw a proliferation of original regional content, with players like Viu India venturing into the Tamil market and ZEE5 & Sony LIV launching in different languages. According to Ali Hussein, COO, Eros Digital this production of quality content had to eventually happen. “Content production has a cycle of 12-18 months. Unless the planning started in 2016-17, players wouldn’t have be able to deliver products in 2018,” he says. “From the technology standpoint, there’s been an evolution of how content has been served to offer different experiences. From business point, it’s fantastic as we see a healthy balance among telecoms, distributors, content partners and production,” he adds. India’s diverse demographics give OTT players in India ample scope to work with several production houses, independent directors and content creators to offer differentiated yet targeted offering. For instance, Netflix has partnered with Pocket Aces' web series division Dice Media to create scripted shows. Last week, its popular series ‘Little Things Season 2’ made its debut on the OTT platform. The content company has five shows lined up with different OTT platforms. It also has content from The Viral Fever (TVF). 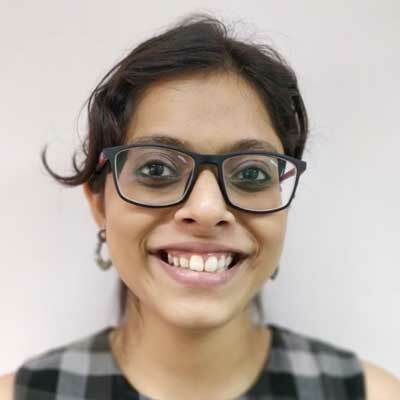 Talking about the reasons behind OTT players joining hands with content creators, Ashwin Suresh, Founder, Pocket Aces, points out that these platforms want to associate with the younger audience by creating content of their choice. Arre has 130-140 hours of original content on pre-production, scheduled to roll out from this month onwards. This includes seven shows of its own (on Arre and other platforms) and seven on the studio side commissioned for other OTT platforms.